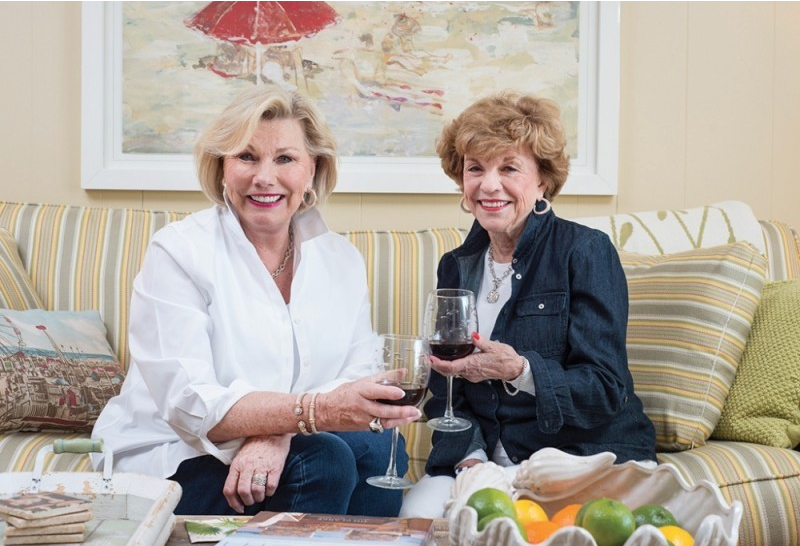 When Patti Miller and Theresa Marker hired Adele Zaniewski of Kendall Furniture to makeover their Ocean City condos, they expected a great result. What they didn’t count on is finding a new friend. It’s good to have friends. When Maryland State Senate President Thomas “Mike” Miller asked his friend and state senate colleague Jim Mathias for some advice about revitalizing his townhouse in Ocean City, Mathias knew exactly where he should go. Once the veteran designer got a good look inside the Ocean Colony townhouse, she knew immediately that her services were very much in order. Used as a rental property by the previous owners, the space had grown drab and stale with the passage of time, harking back to the styles, hues and textures of a bygone era. From this dated launch pad, Adele’s mind began flooding with ideas to make a dramatic and immediate impact at a cost her new client would appreciate. 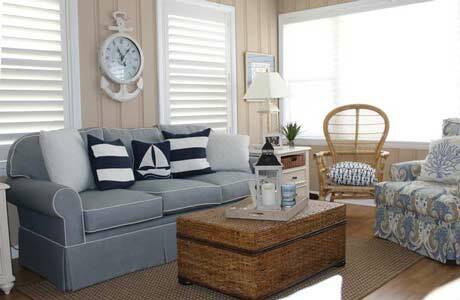 Adele decided that classic Nantucket coastal was the theme of choice for the Millers. So, after the premises was essentially gutted from stem to stern, she and Patti went shopping. The one thing the ladies decided to keep were the navy Corian countertops with stone backsplashes, which ultimately served as the nucleus of the color palette. Varying shades of blue were splashed around throughout the three-bedroom, three-bath premises, complemented by strategic deployment of creamy vanilla, whites and other pastels around the walls, wainscoting, cabinetry and plantation-style window treatments. The dining area features an earthy driftwood-top table accompanied by a series of classic ladder-back chairs with big, bowed yellow-and-seashell cushions by Sunbrella. The home’s five exterior decks also sport Sunbrella performance fabrics, over sturdy Breezesta outdoor furniture. 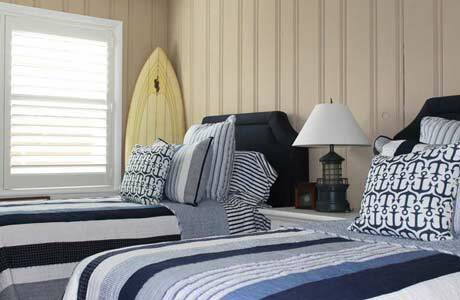 Top it all off with a custom seascape mural by local artists Brian Waggoner and Chris Klink, and what you have is a bright and sunny oceanfront escape that Patti and Mike, their five children and 14 grandchildren can enjoy all year long. 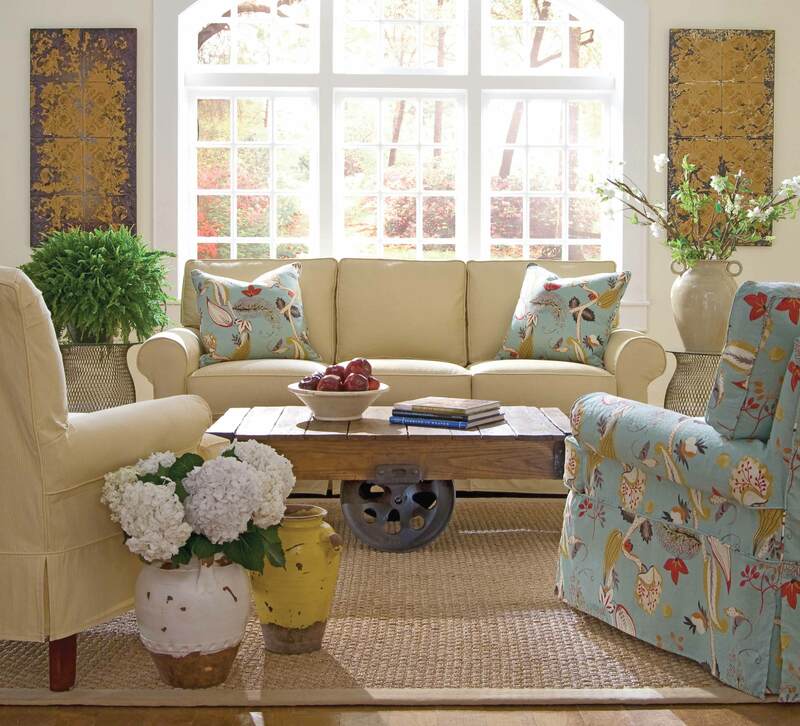 Naturally, when Patti’s good friend Theresa Marker was looking to overhaul her condo in Ocean City’s Skylark, Patti turned to her new friend at Kendall Furniture. But where Patti’s townhouse had been dated, Theresa’s was, well, closer to disastrous. “The condition of the condo when I’d gone to see it after so many years was basically shocking,” confessed Theresa, who hadn’t been to the condo since her husband had passed away more than two decades earlier. 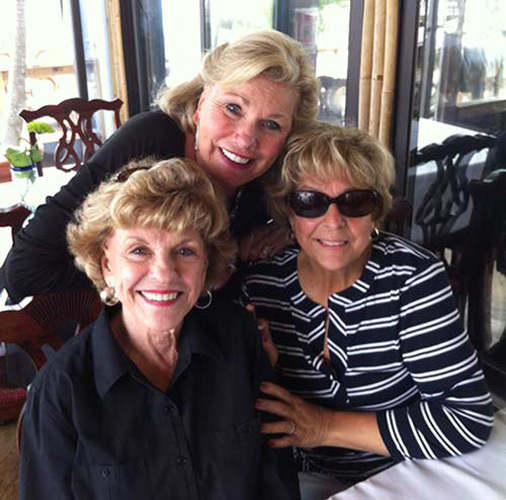 Patti and Theresa are golf buddies who have known each other for 18 years, so when Theresa saw what Adele did for Patti, she ordered one for herself. With the color palette and other essentials in place, personal touches like a tan leather lounge chair, straw-trunk coffee table and a potpourri of perfect accessories by Karen Borth of Panache at Kendall Furniture were incorporated, creating a three-bedroom, two-bath condo that is unique and homey yet really easy on the eyes. Once again providing the finishing masterstroke were Waggoner and Klink, whose wraparound sand-dune mural spans three-fourths of the unit’s entire wall length. Perhaps best of all, both jobs were completed by their Memorial Day deadlines.